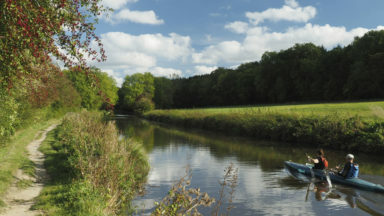 England's 33 Areas of Outstanding Natural Beauty (AONBs) have been described as the ‘jewels of the English landscape’, and the North Wessex Downs, the third largest of these AONBs, is no exception. Designated in 1972, the North Wessex Downs cover one of the most continuous tracts of chalk downland in England. The chalk itself, which dates from the Cretaceous period (99–65 million years ago), is formed from the remains of billions of minute sea creatures – known as coccoliths – that, over time, have been compacted and raised above sea level by the gradual movement of landmasses drifting across the earth’s surface. 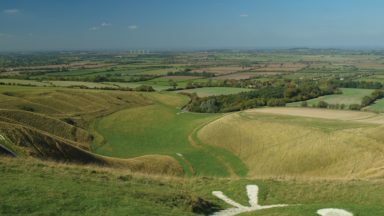 This rolling chalk landscape stretches from its western tip near Calne in Wiltshire across a broad arc to the south of Swindon, passing through Oxfordshire and Berkshire to meet the River Thames on its eastern edge, where it faces the Chilterns across the Goring Gap. 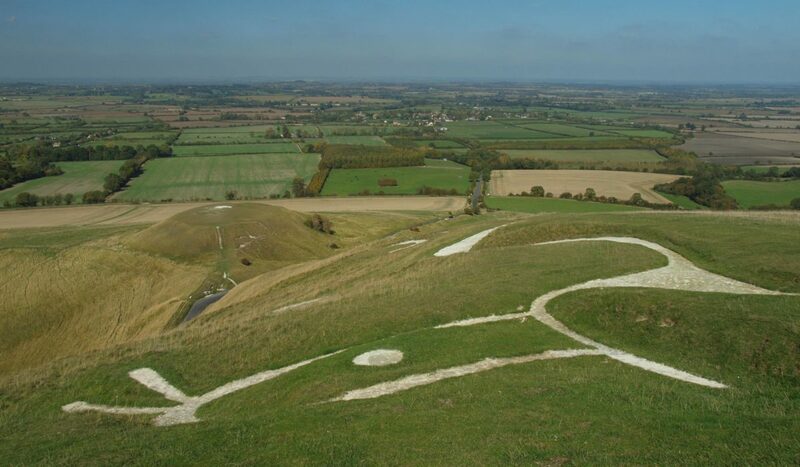 The AONB then sweeps round Newbury to encompass the northern reaches of the North Hampshire Downs, home to Watership Down – known the world over as the home of a colony of rabbits in Richard Adams’ book, Watership Down – and Walbury Hill, the highest chalk hill in England (297m). 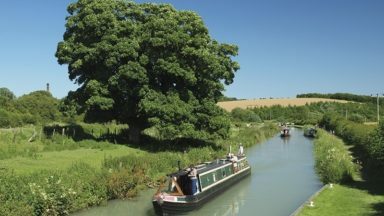 The southern edge stretches westwards, to take in the beech- and oak-wooded Savernake Forest – once a medieval royal hunting forest – and the Vale of Pewsey before heading back towards Calne. This is an ancient landscape littered with impressive prehistoric sites, from the Neolithic treasures of Avebury, and the amazing Bronze Agegalloping outline of the Uffington White Horse, to iconic Iron Age hill forts. To the west of Marlborough lie a collection of monuments that form a World Heritage Site – an area containing the largest number of surviving monuments of the Neolithic (4200–2200bc) and Bronze Age (2200–750bc) in western Europe. These are the jewels in the North Wessex Downs’ crown, and form a ‘sacred landscape’ whose purpose is still difficult to comprehend. 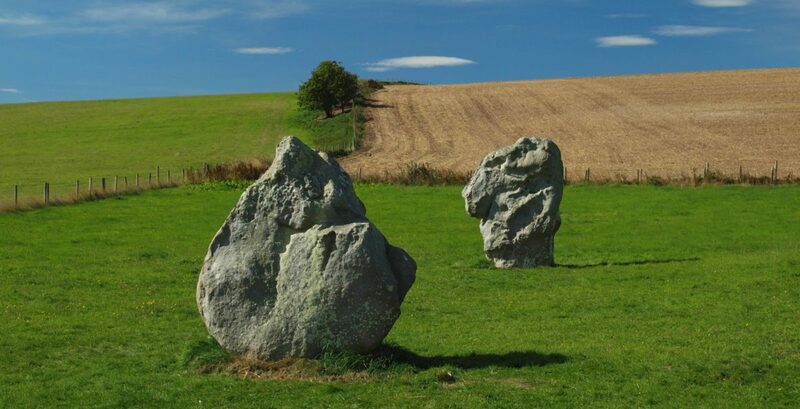 The most impressive feature at Avebury is the large ‘henge’ (a ‘henge’ is a type of Neolithic earthwork consisting of a circular or oval outer bank and inner ditch) dating from 2800bc. Within this structure is one of Europe’s largest stone circles, originally marked with 98 sarsen stones alongside part of the present village. Despite the destruction the henge is still a remarkable sight, helped in part by the efforts of one man, Alexander Keiller, heir to the Dundee-based marmalade business. He excavated many of the sites at Avebury in the 1930s and re-erected some of the stones: the Avebury Museum houses archaeological finds from the area. To the south-east is The Sanctuary (SU 118 680), originally a complex circular arrangement of timber posts and double stone circle. Its function, like that of so many prehistoric sites, remains a mystery. Sadly all that remains today are concrete blocks marking where the wooden posts and sarsen stones that formed the concentric circles were located. 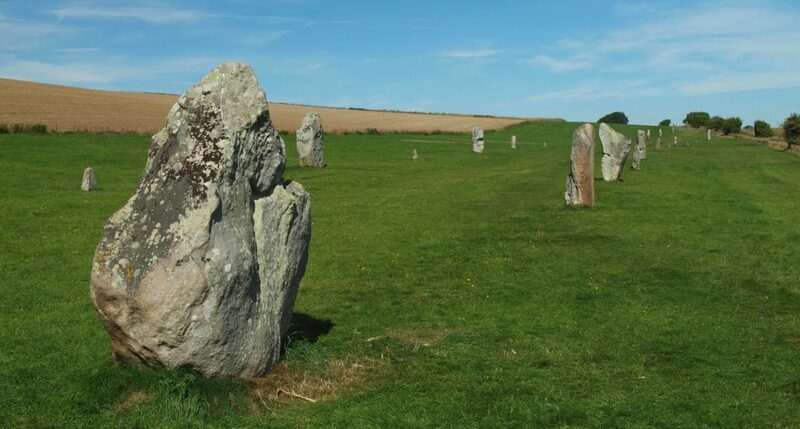 Linking the Henge and Sanctuary is the 1½-mile long West Kennet Avenue. Running in a south-easterly direction, close to the present B4003, this avenue originally consisted of around 100 pairs of standing stones. To the south-west, up on the skyline, is the West Kennet Long Barrow (SU 104 677), one of the largest (100m long) and most impressive Neolithic chambered tombs in Britain, built around 3600bc. Probably the most mystical stop on our tour of Avebury's treasures is the 40m high Silbury Hill (SU 100 685), the largest manmade prehistoric mound in Europe, built sometime around 2400bc. As for why it was built, no one really knows, although local legend attributes the mound to the devil. 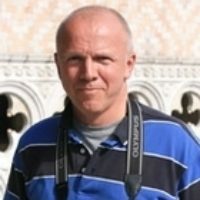 He was planning to dump a load of earth on nearby Marlborough, but was stopped by the priests at Avebury, while in another version it is a cobbler who thwarts the devil. While on the subject of Silbury Hill, mention must be made of what is now known to be its smaller sister, the Marlborough Mound, located in the private grounds of Marlborough College about 5 miles to the east (SU 183 686). Once used by the Normans as a motte and bailey castle, recent radiocarbon dating has confirmed that it was constructed around 2400bc, about the same time as Silbury Hill. Between Avebury and Marlborough are the remains of a chambered long barrow known as the Devil’s Den (SU 152 696). 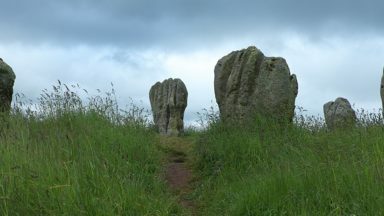 The great Wessex novelist Thomas Hardy referred to it as ‘a Druidical trilithon' known as 'the Devil’s Door’ in his short story What the Shepherd Saw (1881). The Bronze Age left numerous burial mounds, including an impressive group at Lambourn Seven Barrows (SU 327 826). Here various types of barrow are represented, including bowl barrows, which look like an upturned bowl; bell barrows, that have more of a bell-like shape, with a flat platform and encircling ditch; and disc barrows, that have a flat circular area, surrounded by both a ditch and a bank, with a small hump of earth in the centre marking the position of the grave itself. 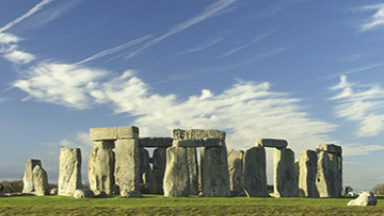 Along the Ridgeway, which follows the crest of the downs along the northern edge of the AONB and is often said to be one of Britain’s oldest roads, having been used since prehistoric times, there are a number of impressive sites along the route. Tucked among beech trees is Wayland’s Smithy (SU 280 853), an atmospheric Neolithic chambered long barrow dating from 3700bc and named after Wayland, a magical smith in Norse mythology. A local legend, referred to in Sir Walter Scott’s novel Kenilworth, states that any traveller whose horse required a shoe should leave it with a coin next to the tomb: on returning the horse would be shod and the coin gone. We may know the age of the carving with some degree of accuracy: but as to its purpose, we’ll most likely never know for certain. The Ridgeway gives access to three further Iron Age hill forts (unlike a henge, hill forts have an outer ditch and inner bank). These are Segsbury Castle (SU 384 844), Liddington Castle (SU 208 979) and Barbury Castle (SU 149 762). Some have suggested that Liddington was the site of the Battle of Mons Badonicus, where the Britons – led by the legendary King Arthur – defeated the invading Saxons, while Barbury Castle may have been where the Saxons won the day at the Battle of Beranburgh in ad556. Overlooked by both Liddington and Barbury hill forts is the village of Chiseldon where, in 2004, a large pit containing twelve bronze and iron cauldrons was found. This is the largest group of Iron Age cauldrons (or cooking pots) ever to be discovered in Europe – but why were they buried? To the south-east are several hill forts crowning the tops of the North Hampshire Downs, including the largest Iron Age hill fort in Berkshire (SU 374 618) on Walbury Hill (England's highest chalk hill at 297m). Further east is Beacon Hill (SU 457 572), a well-preserved example of a contour fort with rampart, ditch and counterscarp. 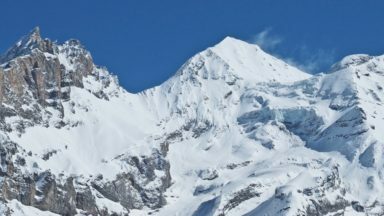 A visit to any of these sites is highly rewarding. Take time to sit amid this ancient landscape, with skylarks singing high above and sweeping views stretching out over the chalk hills’ wide open skies, let your mind wander and imagine the travellers that have been this way before.